Unfortunately, it seems that hydrogen power will only become a widely available technology after 15-20 more years of research and development. Isolating what is ironically enough the most abundant element in the universe has proven to be energy expensive and therefore impractical venture. We’re now staring at the very real possibility of purchasing purely electric vehicles as our next modes of transportation. Last year, I was all for hydrogen power. It seemed like such an elegant solution for our current environmental situation. With all the jargon aside, how cool is burning oxygen to create water? 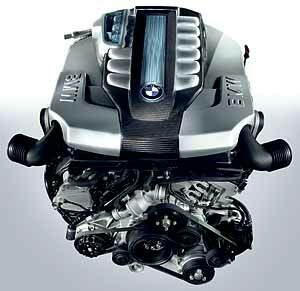 Heck, even beloved BMW has developed a V12 hydrogen-gasoline hybrid engine demonstrating the performance and practicality of the fuel. So what’s the point? We’re now paying over $4 a gallon for unleaded gasoline, something which I feel has contributed significantly to America’s economic recession. Consumers don’t have time for scientists to sit around “test drive” new methods of isolating the hydrogen fuel in an energy efficient manner. Growing microbes which produce hydrogen as a byproduct of their metabolism or harvesting solar energy to facilitate the electrolysis reaction of water into oxygen and hydrogen gas are just two of the many options which are far from mainstream implementation. The electric car has found its niche at this point. Toshiba developed a lithium ion battery which could be recharged to 80% of its capacity in a minute… and this was over three years ago. We now have methods to condition batteries, make the irritating memory effect a thing of the past, and push battery capacities to new limits. Even politicians are getting involved. Republican presidential candidate John McCain recently proposed a $300 million prize to whoever finds a “better” battery for electric automobiles. Mind you, this is no easy task. Afterall, it’s not like scientists are not trying to achieve such a goal in the first place. But this additional incentive just might spur some people to shift their research interests. 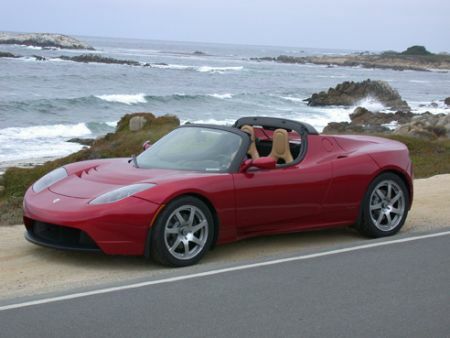 I was reading a magazine earlier this morning about the Tesla Roadster, a purely electric roadster vehicle which currently sells for around $100,000 (oh yeah, there’s a wait list too). I’ve read about Tesla many times before, but when the suave-looking vehicle was juxtaposed alongside a headline stating “$4 a gallon”, I was more inclined to read about the vehicle’s detailed specifications. Sure it costs money to charge the car, but depending on the source you consult, the Tesla’s petroleum-equivalent efficiency is above 100 miles per gallon (mpg). Of course, saving money on the fuel might be countered by a high initial cost for the vehicle itself, but hey, at least it looks cool. 🙂 If you think about it, combustion engines haven’t changed too much in the last century. This sad truth is a direct result of convenience. Who needs to worry about efficiency when you can throw some cheap liquid into a tank and ignite it? To me, based on how advanced we’re supposed to be as a society, it’s time for a change. Electric vehicles offer a far less noise pollution. They offer less moving parts and consequently less maintenance costs. They offer more performance (ie, a lot more torque off the line). Why didn’t we think of this sooner? Well, because we didn’t need to. Basically, it looks like car companies across the world are shifting their focus from gasoline vehicles to gas-electric and purely electric alternatives. Hydrogen power will just have to sit in the backseat for another decade or two, but one day, it too will become a very applicable source of energy. I’m just happy that things are finally starting to get done regarding alternative energy. Interestingly enough, electric cars were the gold standard prior to the invention of the electric starter, eliminating the need for a hand crank, in 1912. Back then they had electric, gas and steam, and electric outsold them all. When Ford came out with the production line he knocked a price of a good gas car from nearly 2000 bucks for a good electric car down to around 650. Nothin’ like old fashioned ingenuity. It’s about time that electric makes a comeback, hopefully the hydrogen fuel pans out down the line too. We almost had a car that ran completely on water as well: http://en.wikipedia.org/wiki/Stanley_Meyer%27s_water_fuel_cell. Either way, whatever, gets us off our dependence on foreign oil.